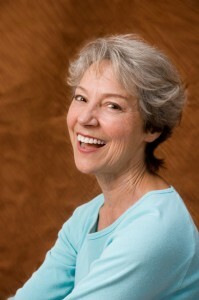 When it comes to menopause, there has been a lot of controversy surrounding the involvement of hormone therapy. Traditionally, doctors would provide hormone replacement therapy (HRT) as a treatment option in order to augment the patient’s hormone levels. However, in 2002, the Women’s Health Initiative, a government-funded study took place and revealed many questions regarding the HRT’s benefits and risks. In 2012, The North American Menopause Society released a statement stating, “the concept of lowest dose for the shortest period of time was inadequate or even harmful for some women”. But in 2017 the stance had changed. They released a paper stating that the use of hormone replacement therapy for menopausal and postmenopausal women “guarantees to make healthcare providers and the women they treat more comfortable using HRT when women want it to improve their quality of life”. The benefit-risk ratio is most favorable for women in their 50’s with hot flashes and night sweats, or at elevated risk for bone loss or fracture. Those younger may not have as many advantages. Longer durations of HRT should be for documented indications and discussed with a physician. Women with vulvar and vaginal symptoms, or with a loss of libido, can benefit from having hormone replacement therapy for sexual-function difficulties. Women who enter menopause early will experience an estrogen-deficiency related consequence. Early estrogen treatment, in addition to endometrial protection. To read more about the NAMS statement, click here. If you would like more information on hormone replacement therapy, contact Dr. Gordon C. Gunn MD at 714-912-2211 or visit www.gordongunnmd.com to schedule an appointment today. Dr. Gordon Gunn proudly serves Fullerton and all surrounding areas.